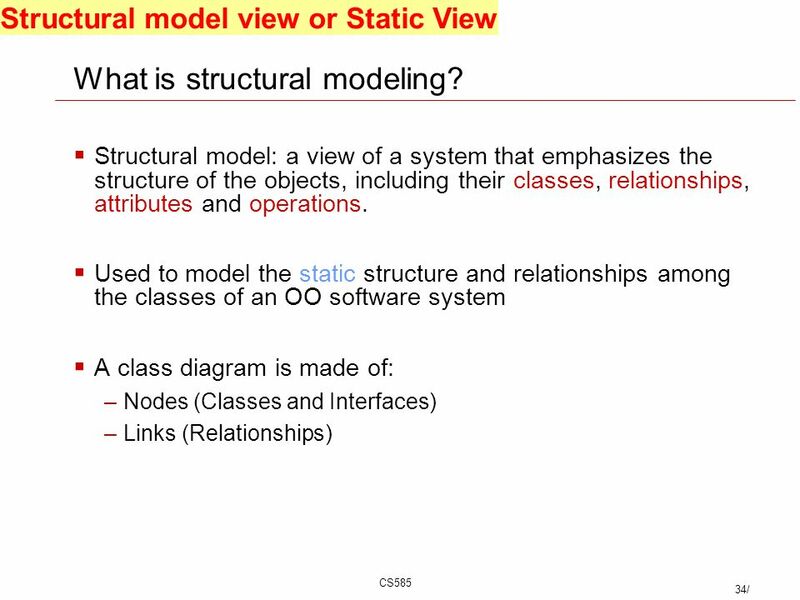 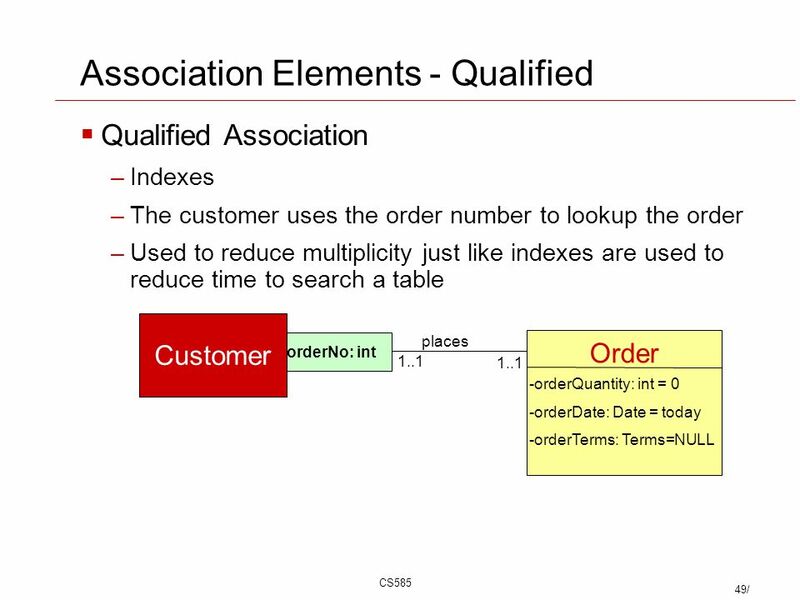 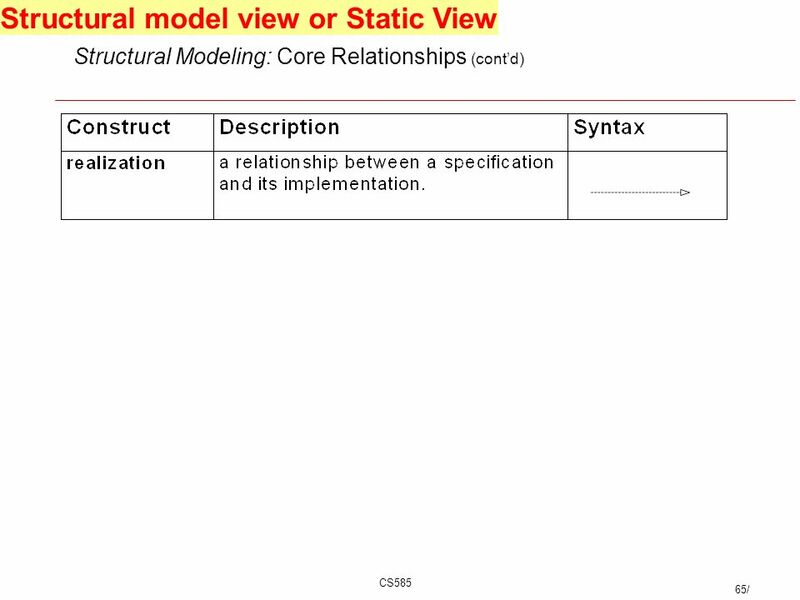 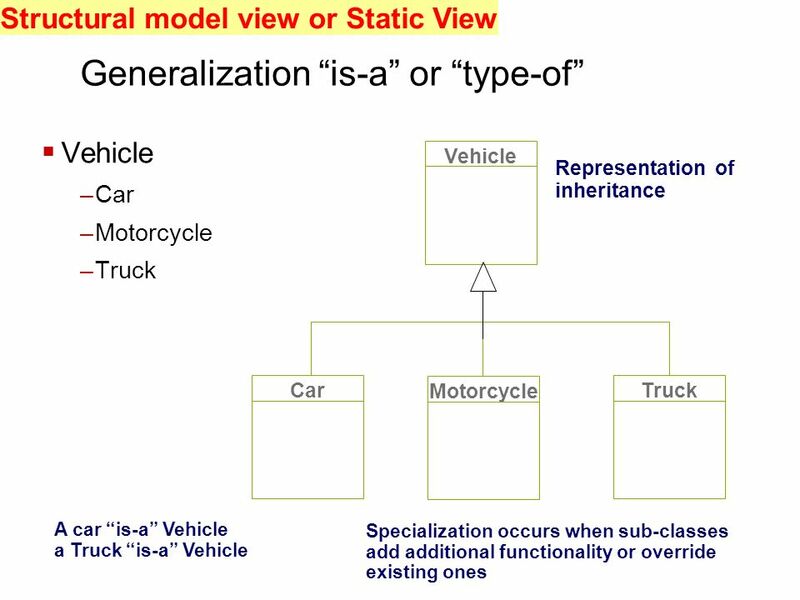 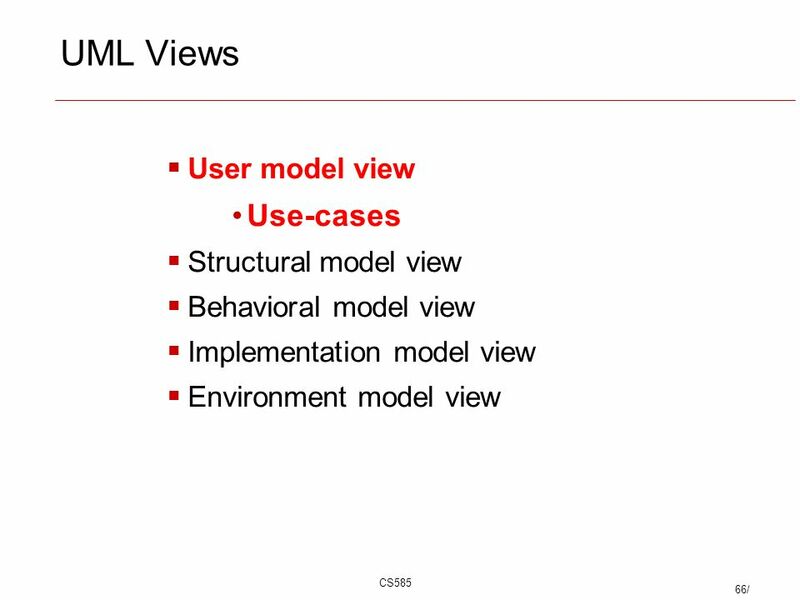 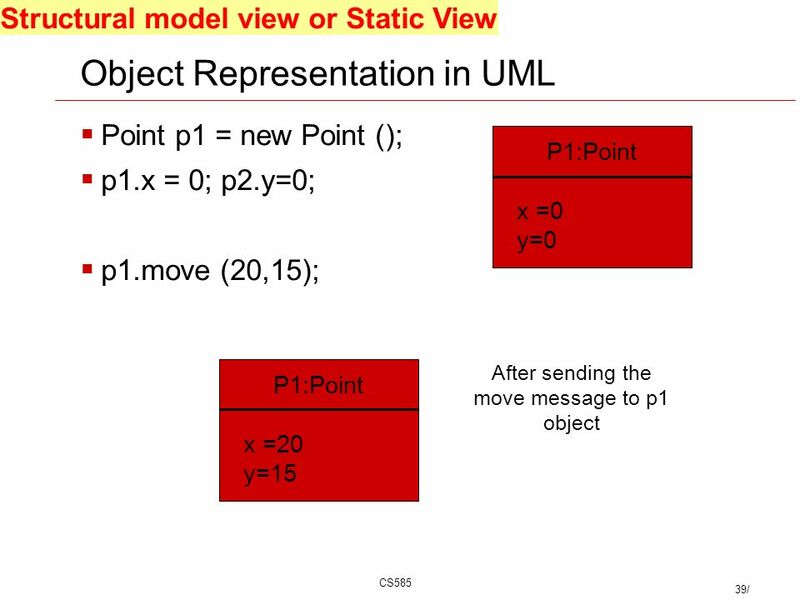 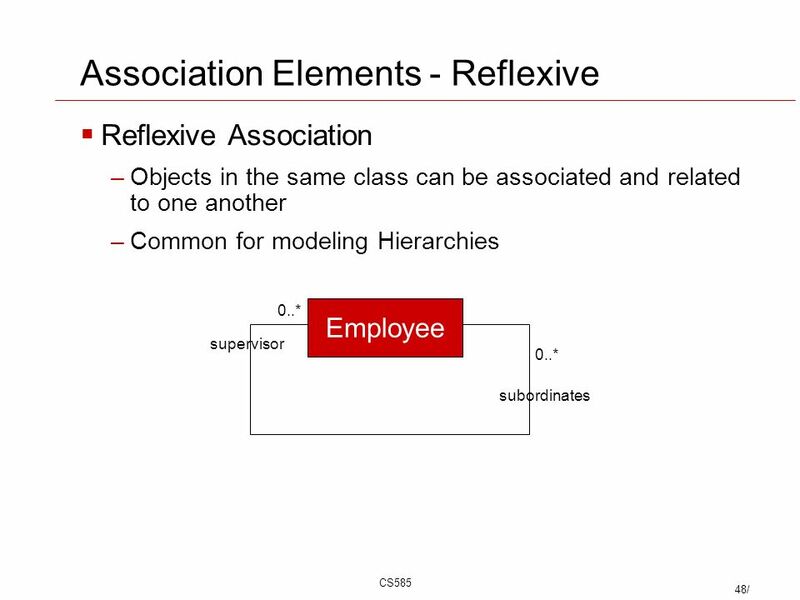 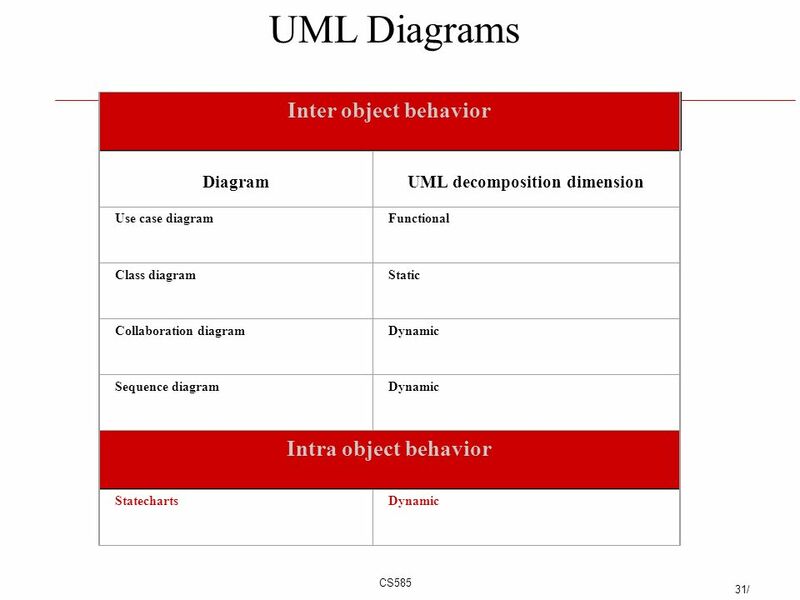 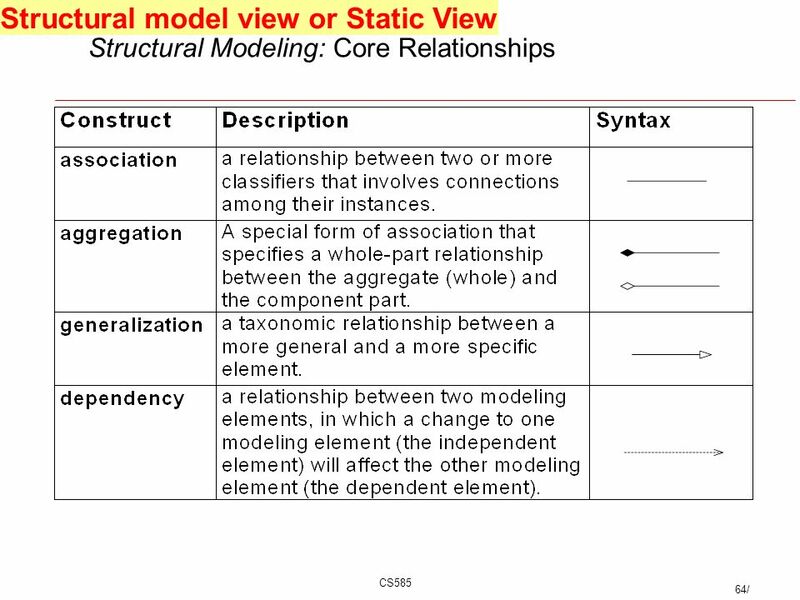 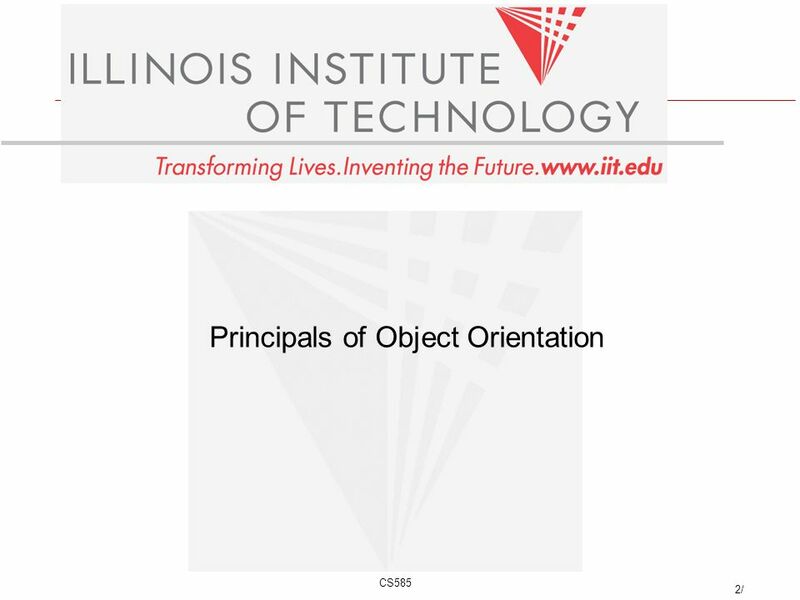 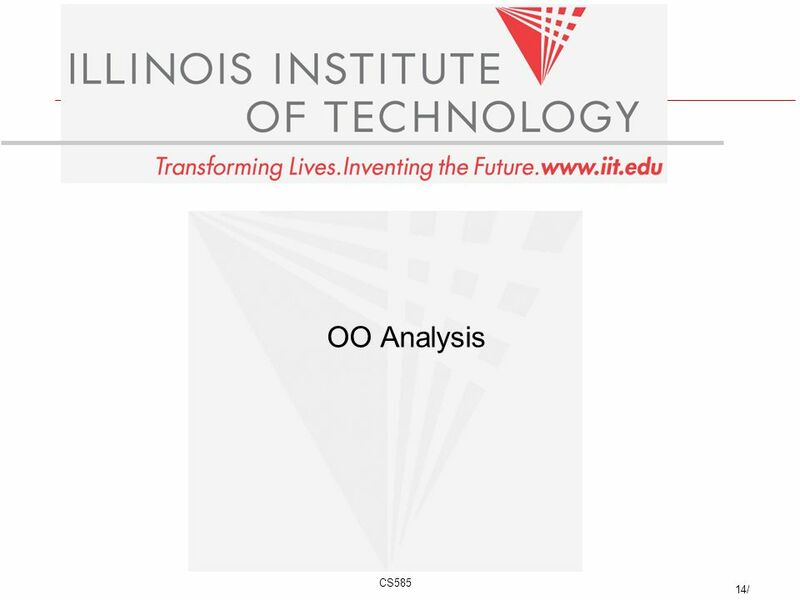 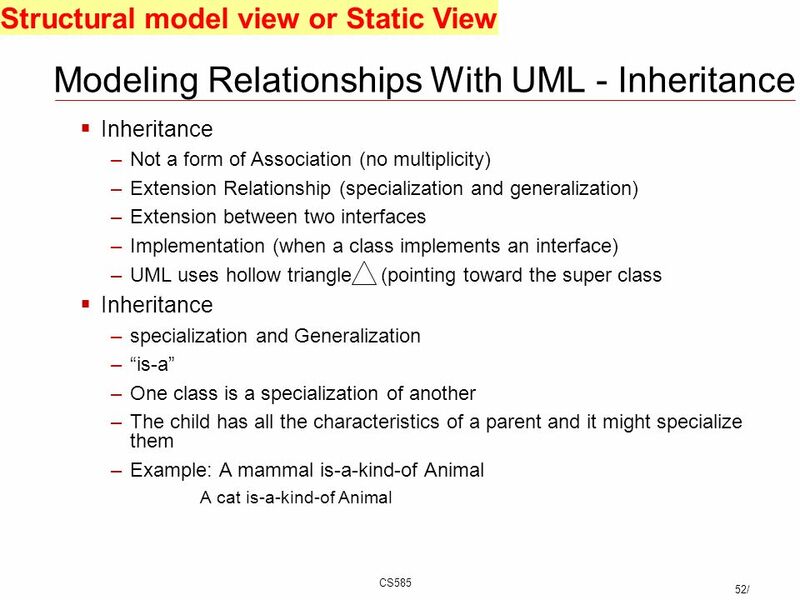 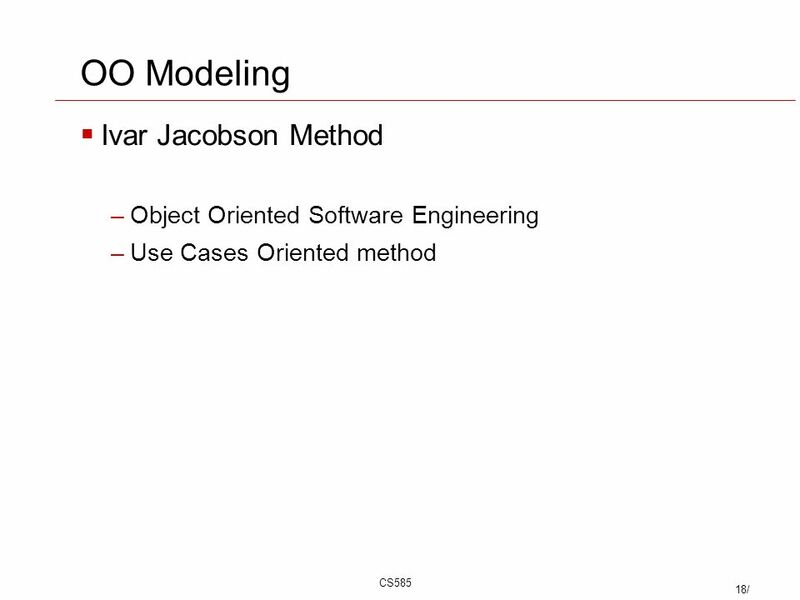 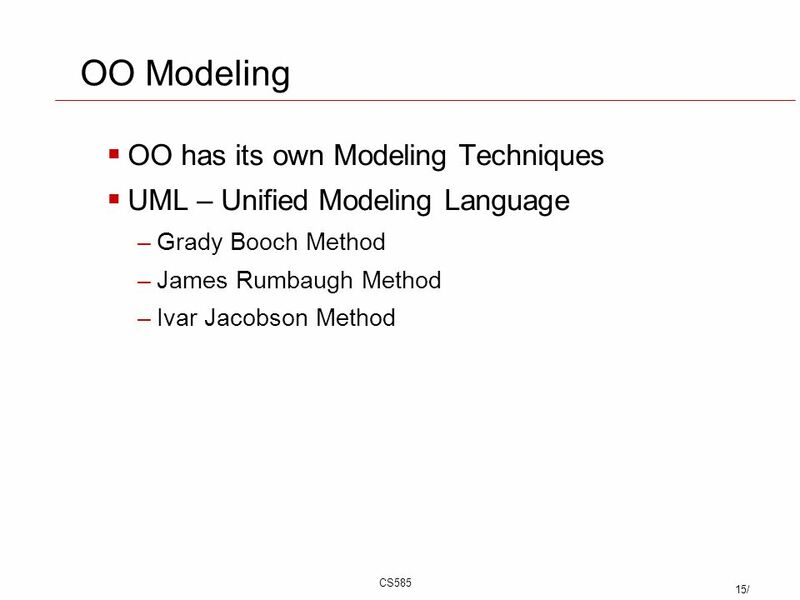 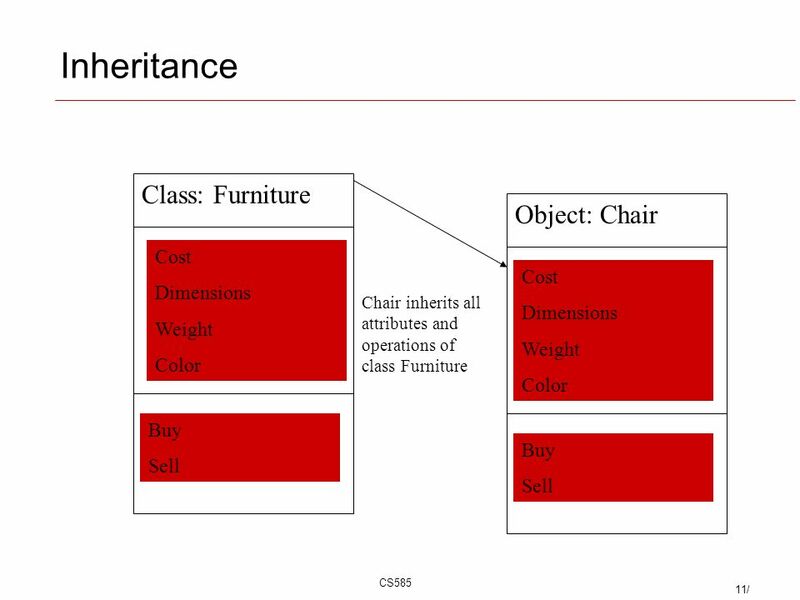 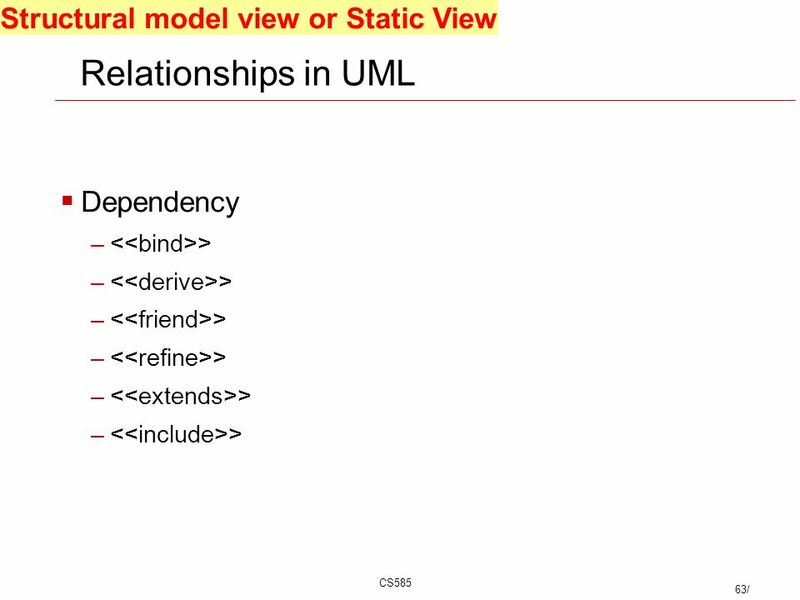 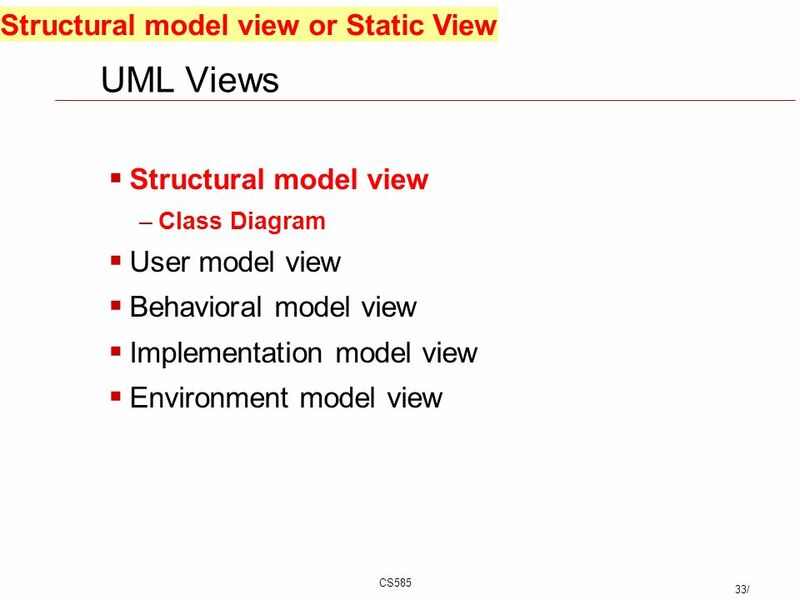 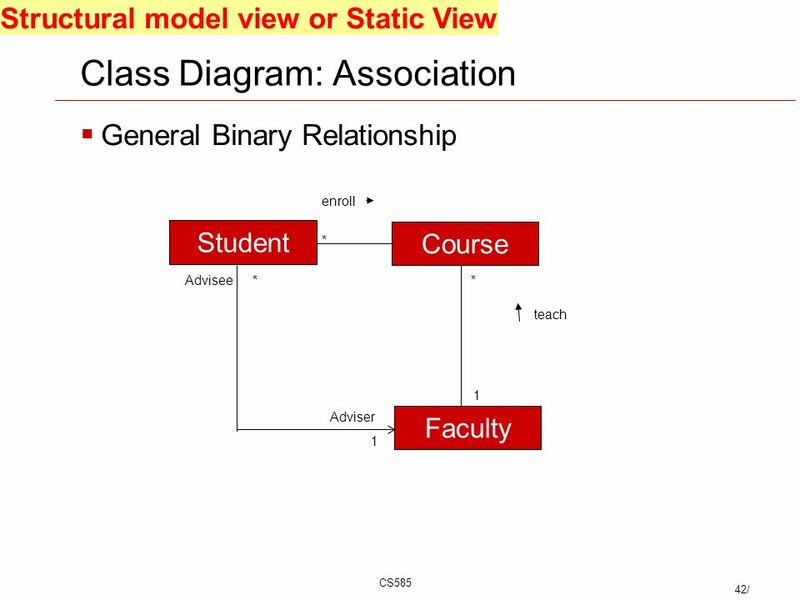 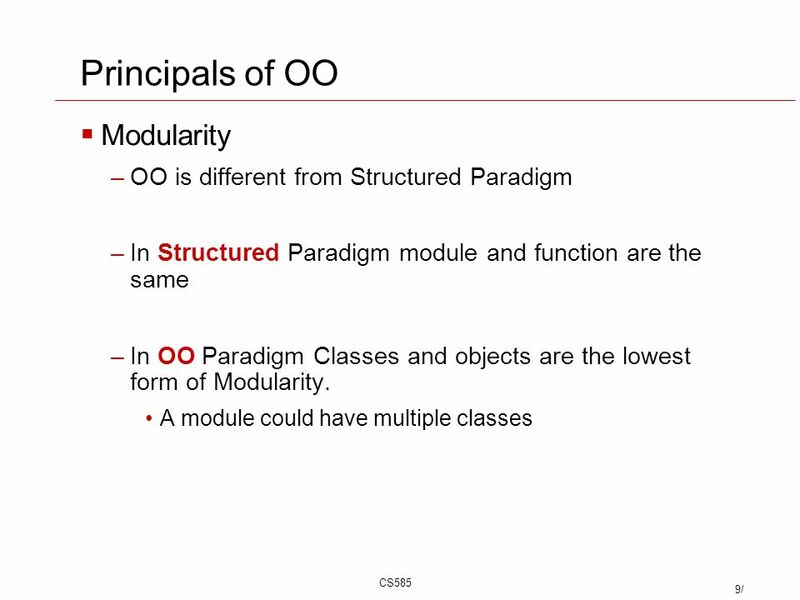 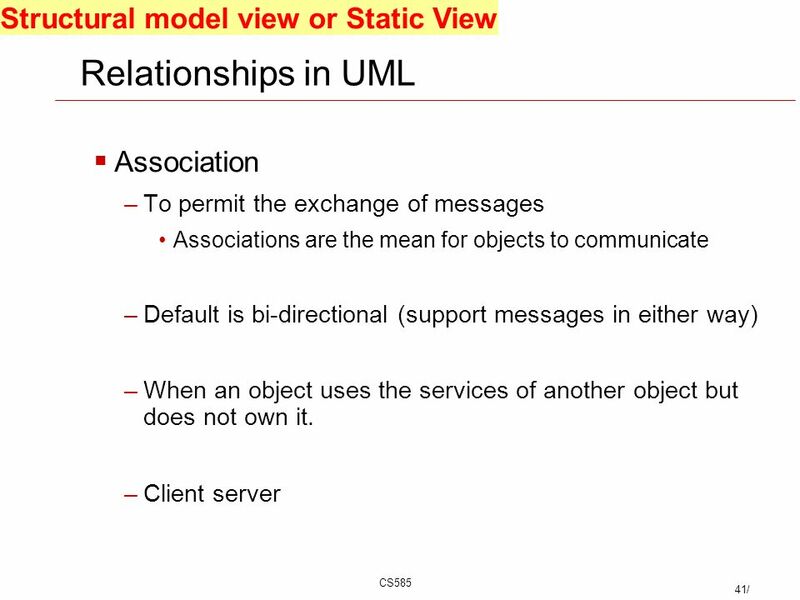 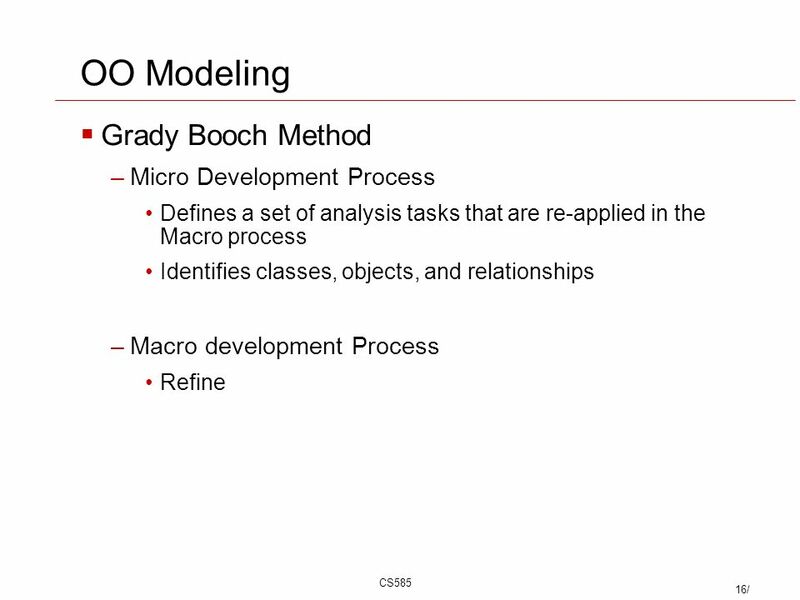 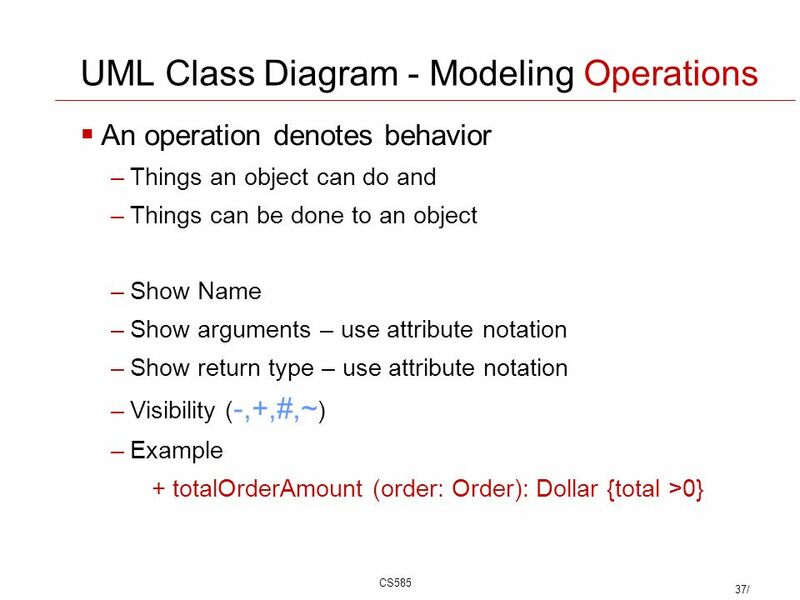 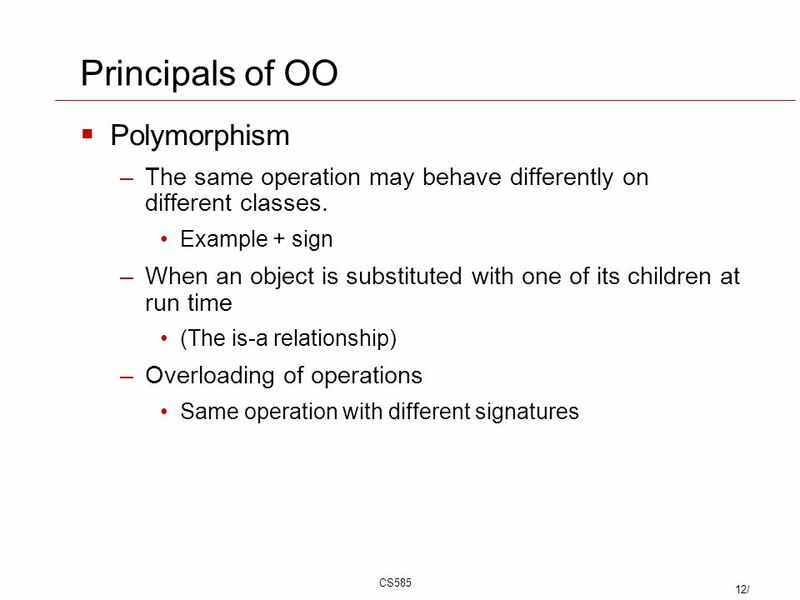 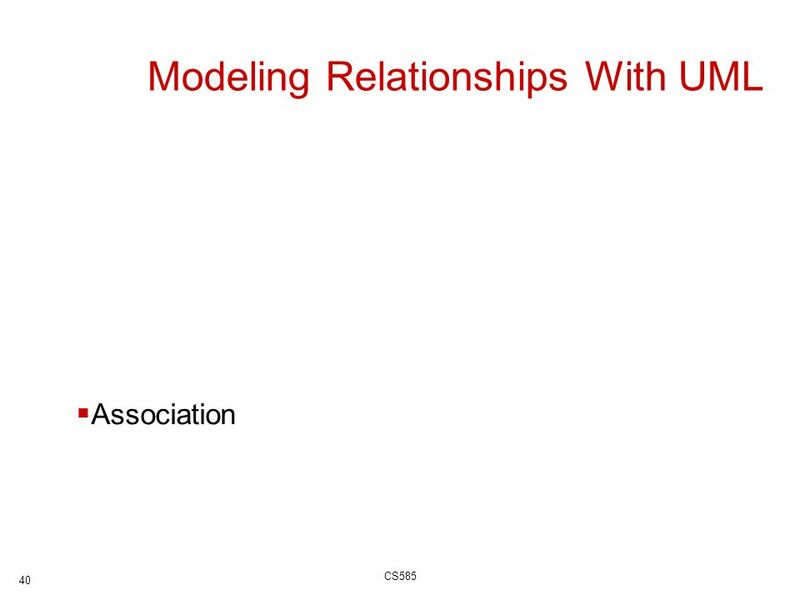 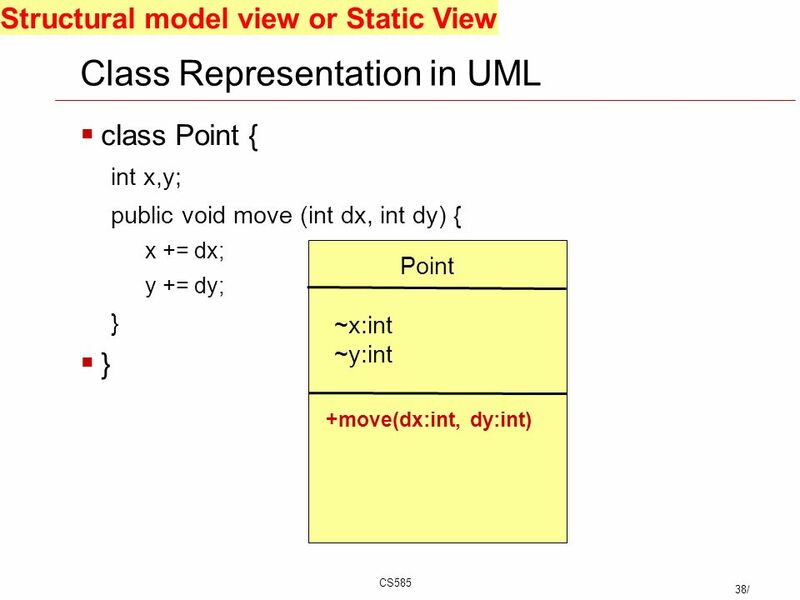 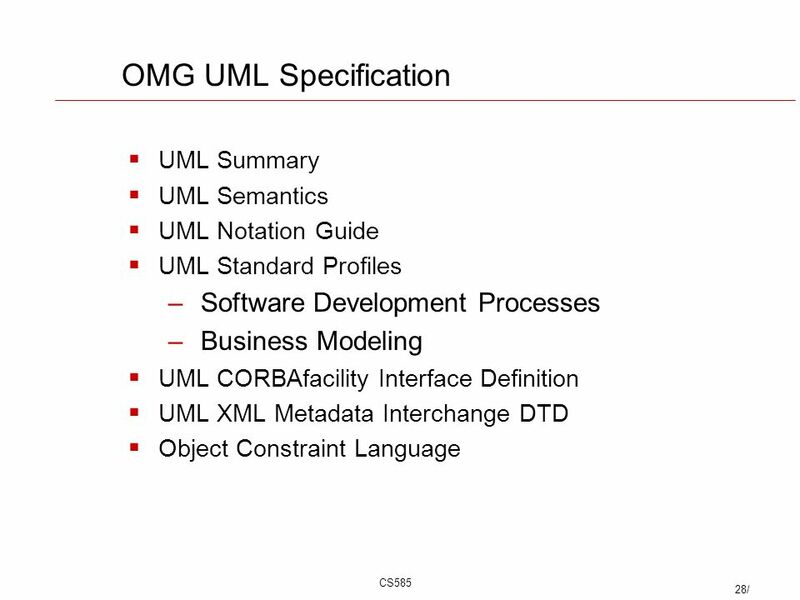 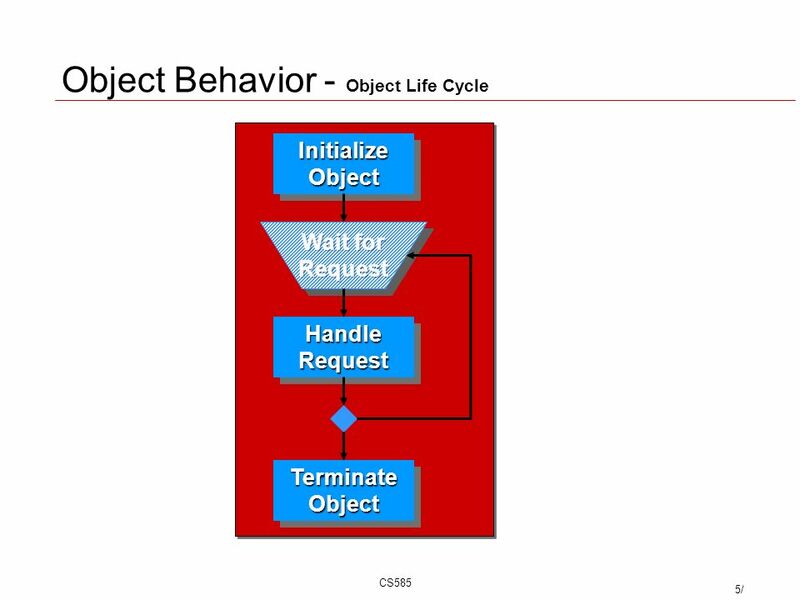 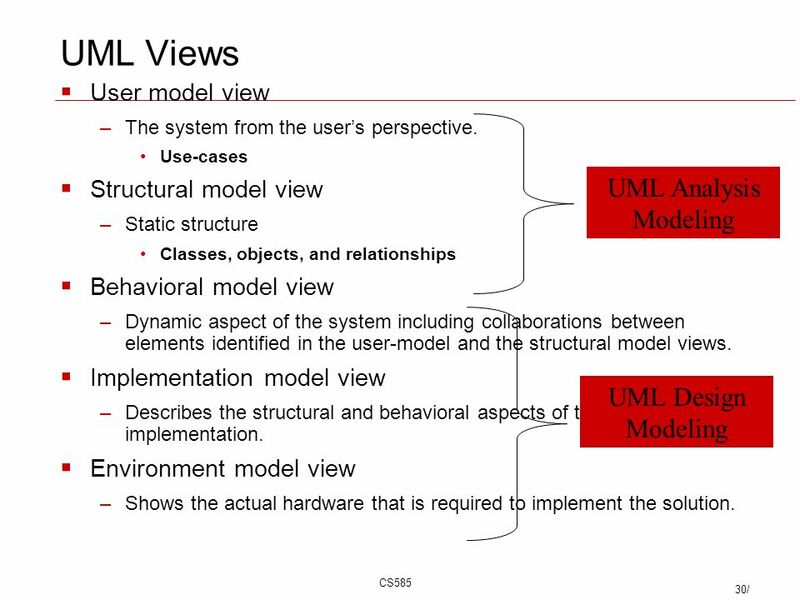 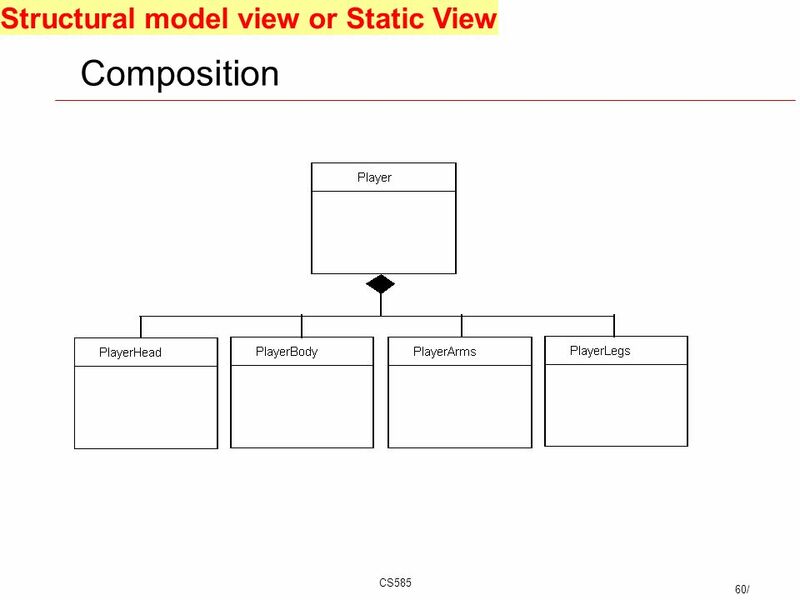 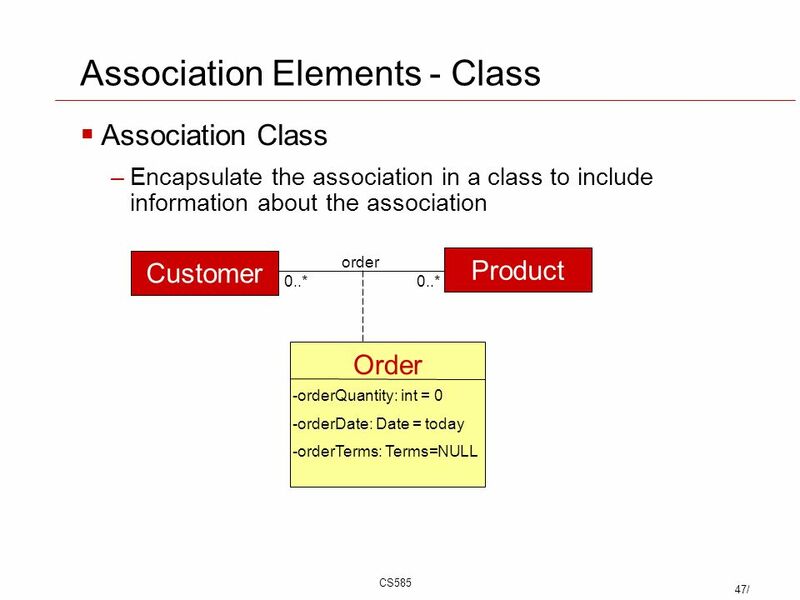 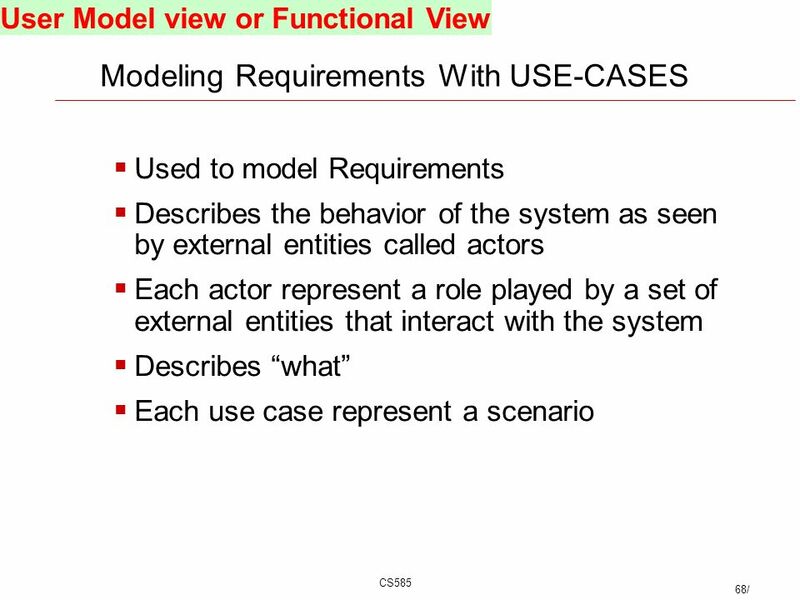 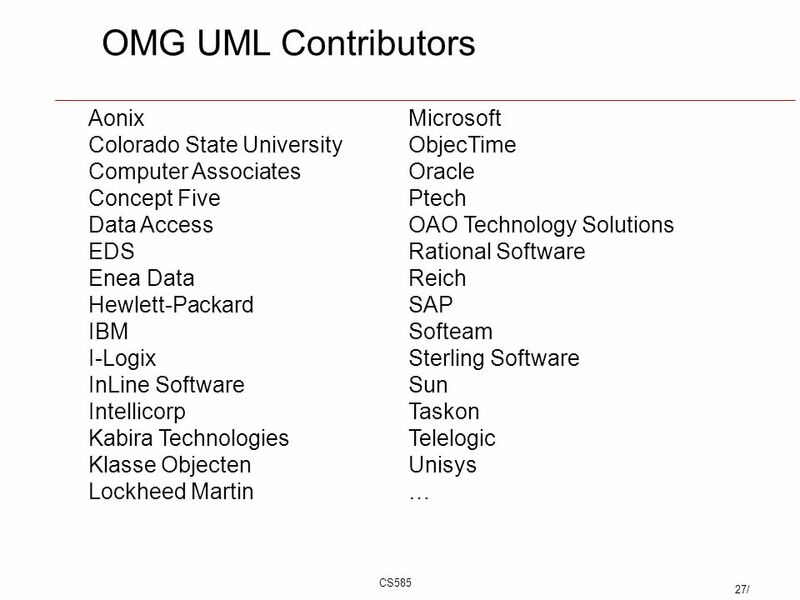 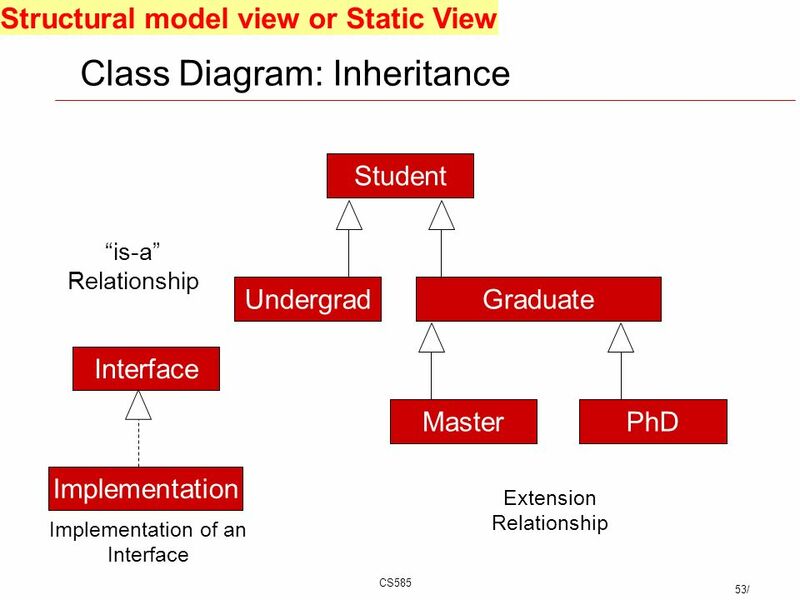 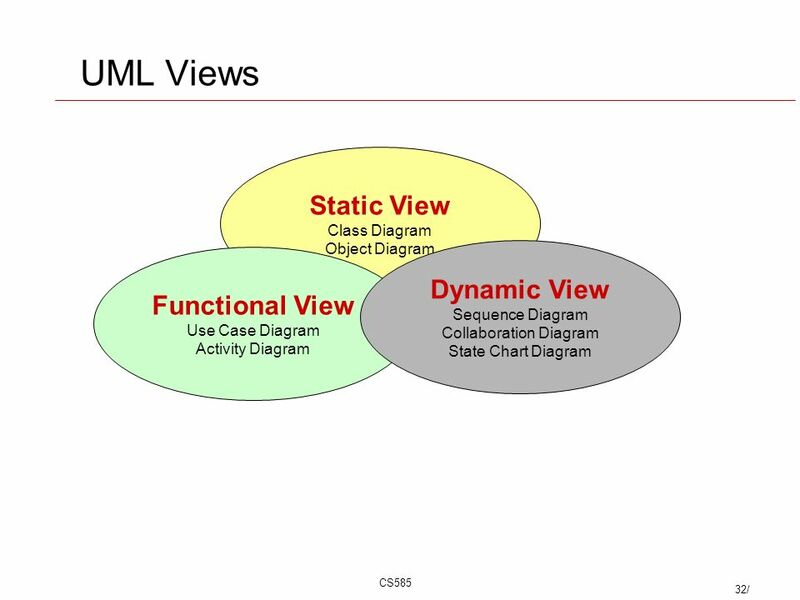 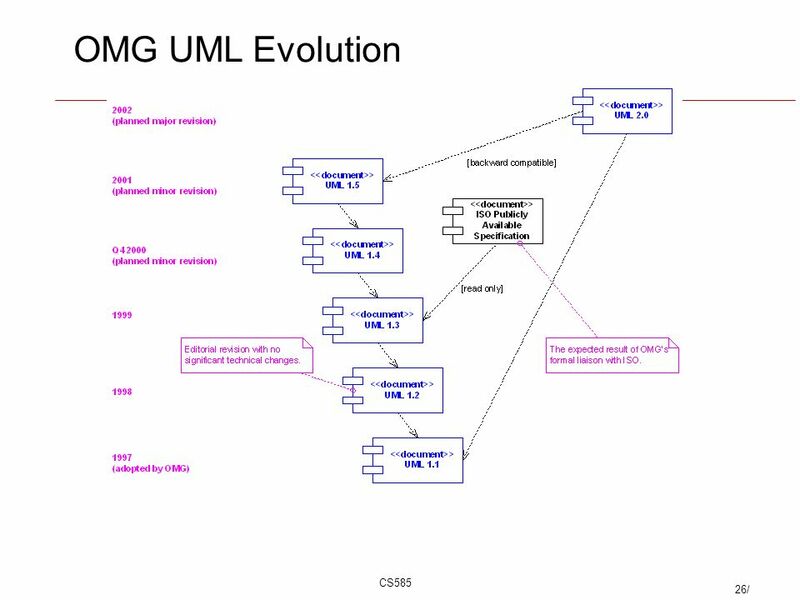 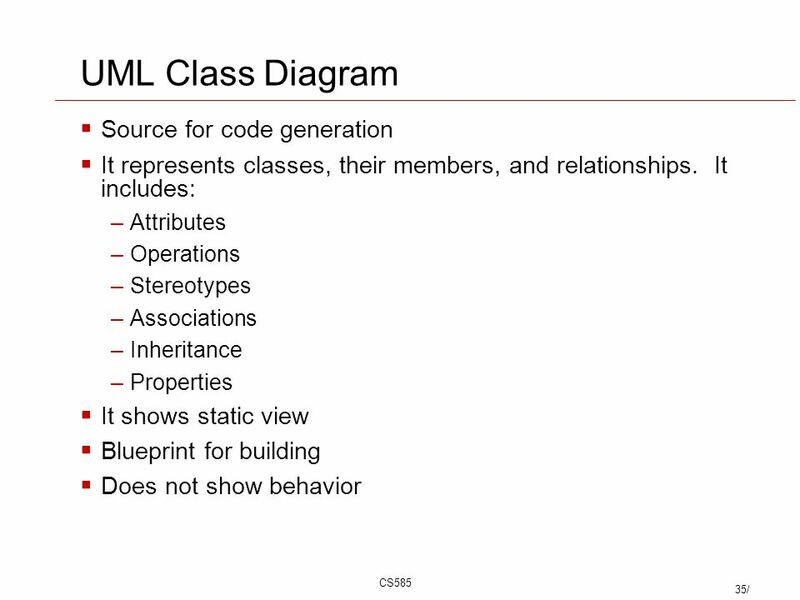 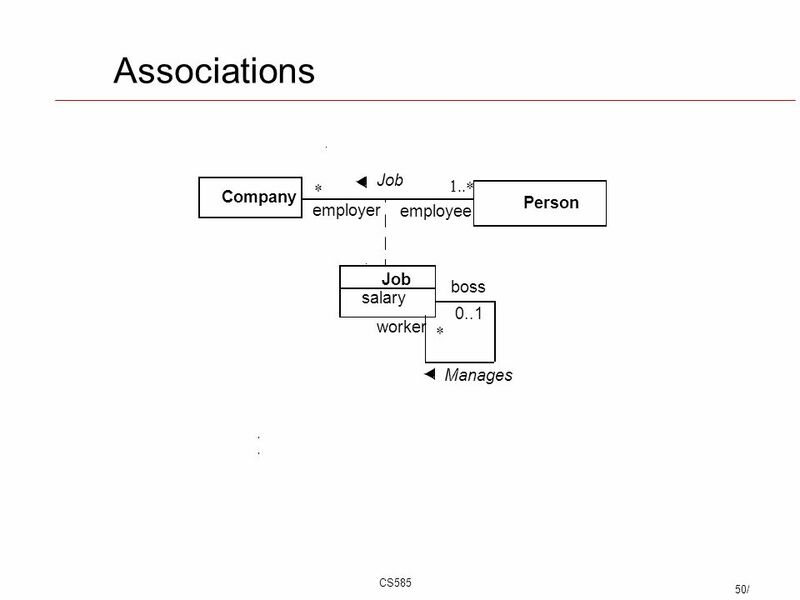 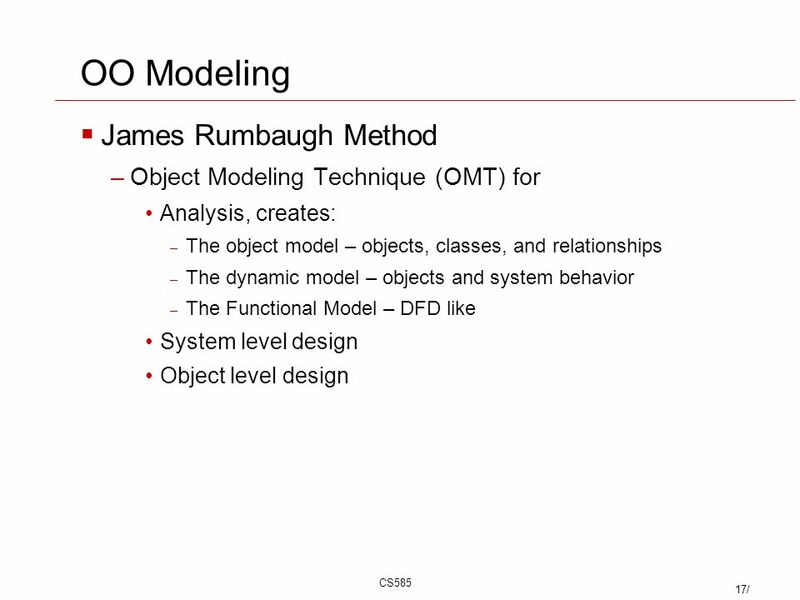 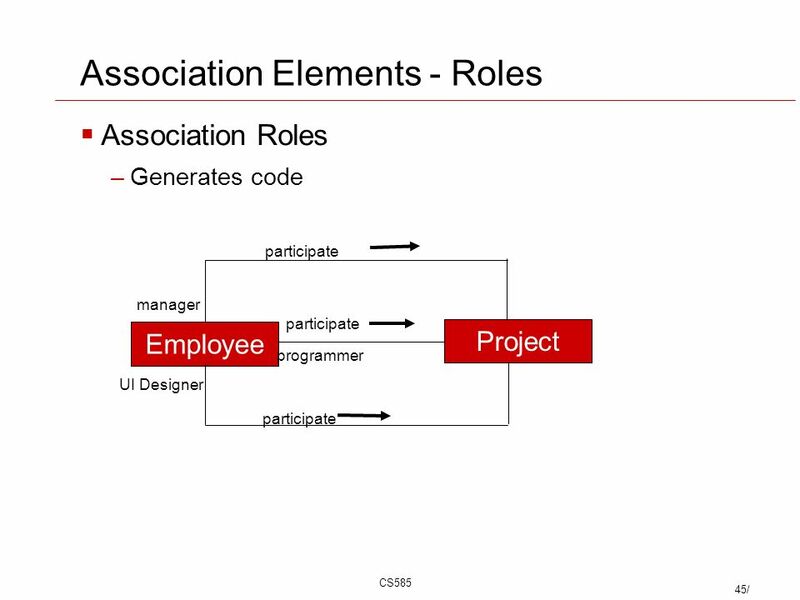 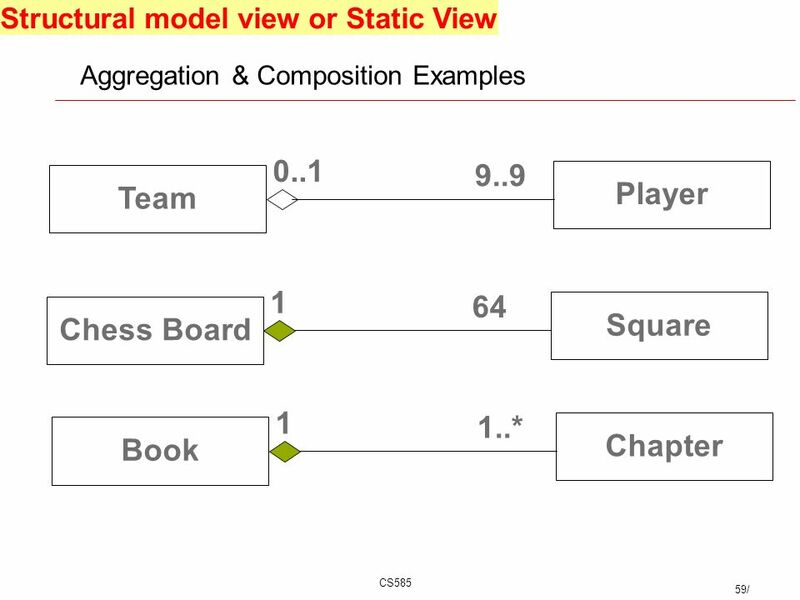 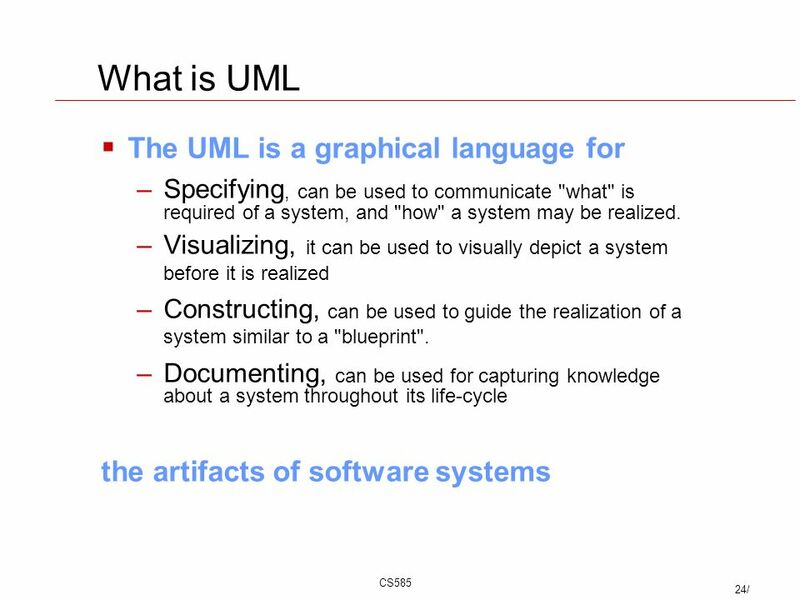 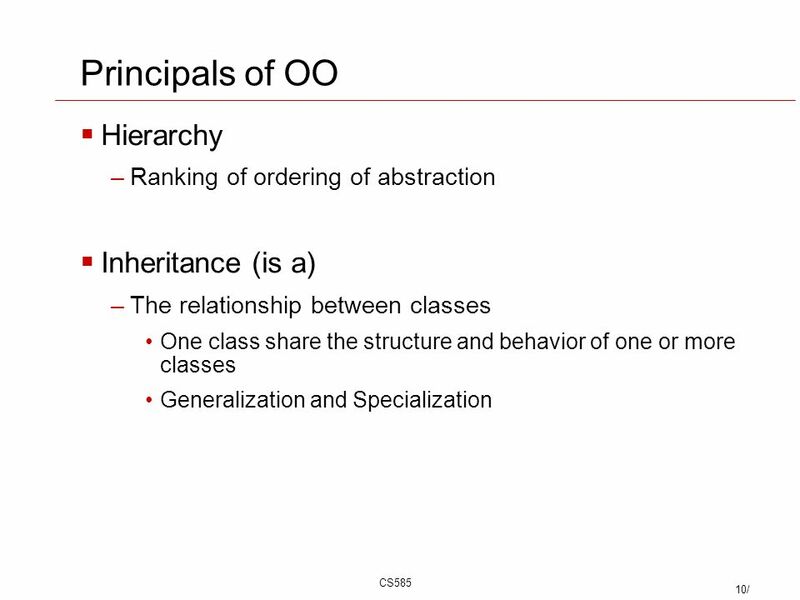 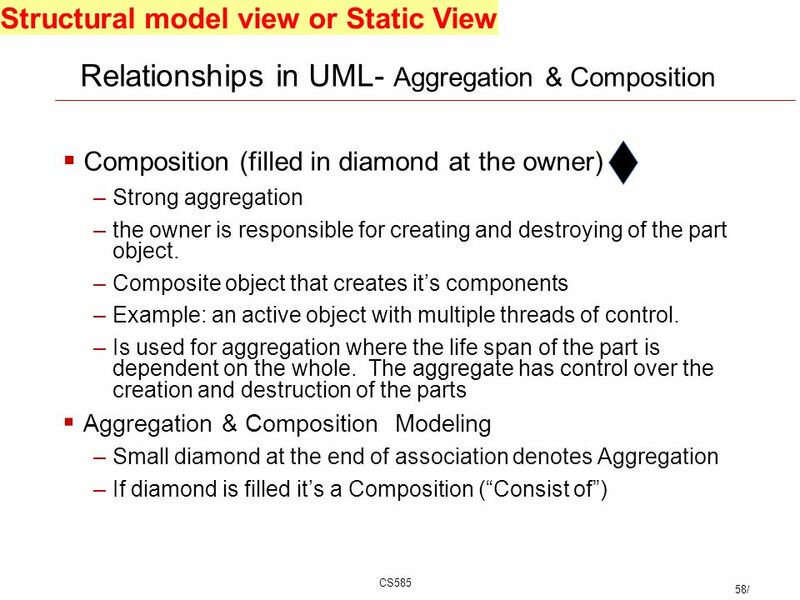 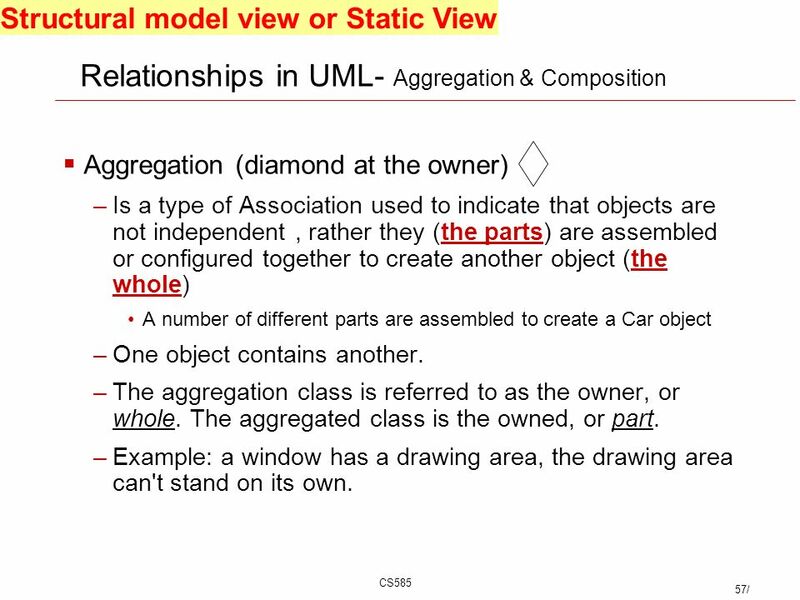 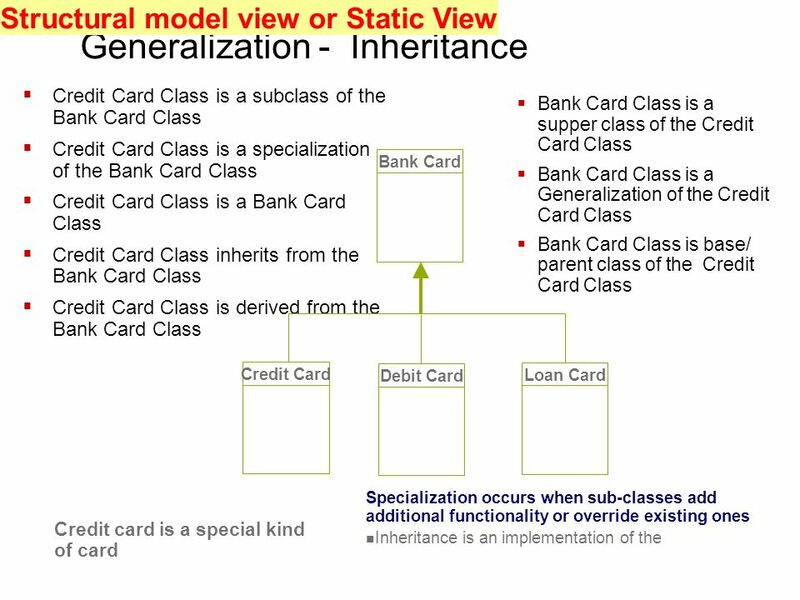 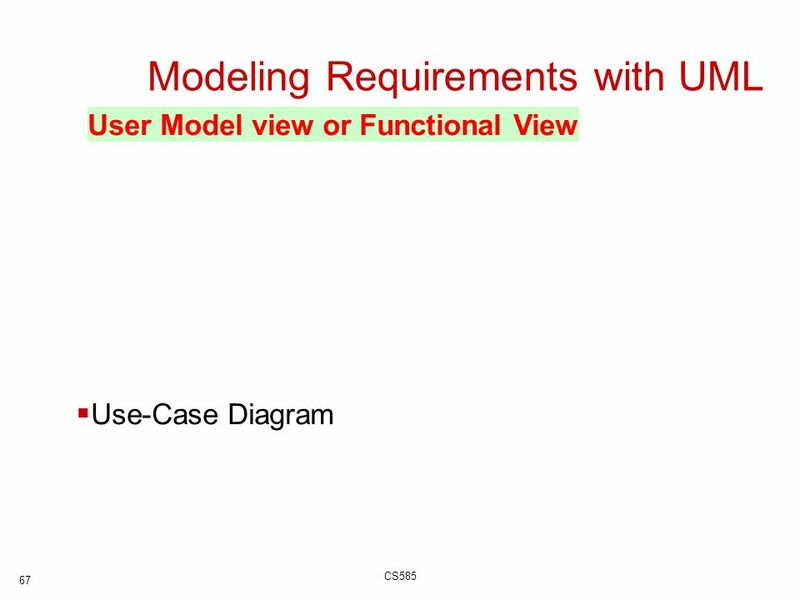 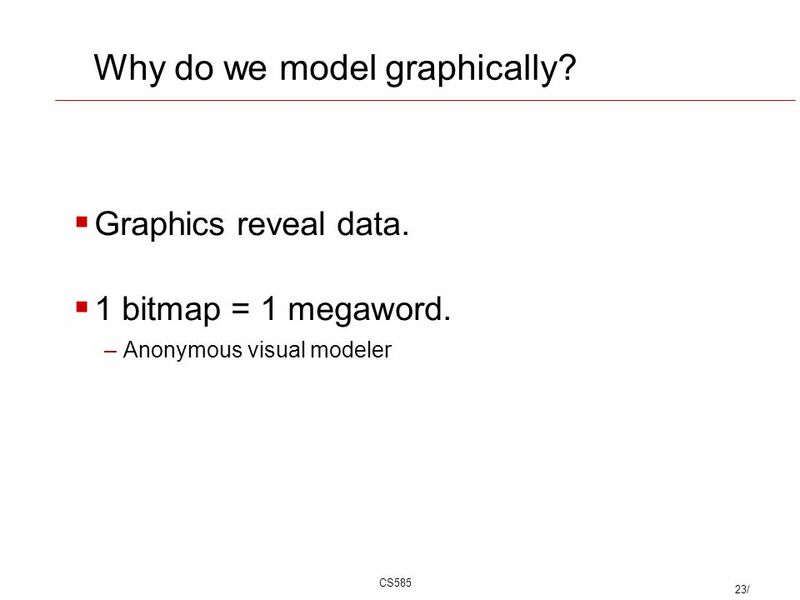 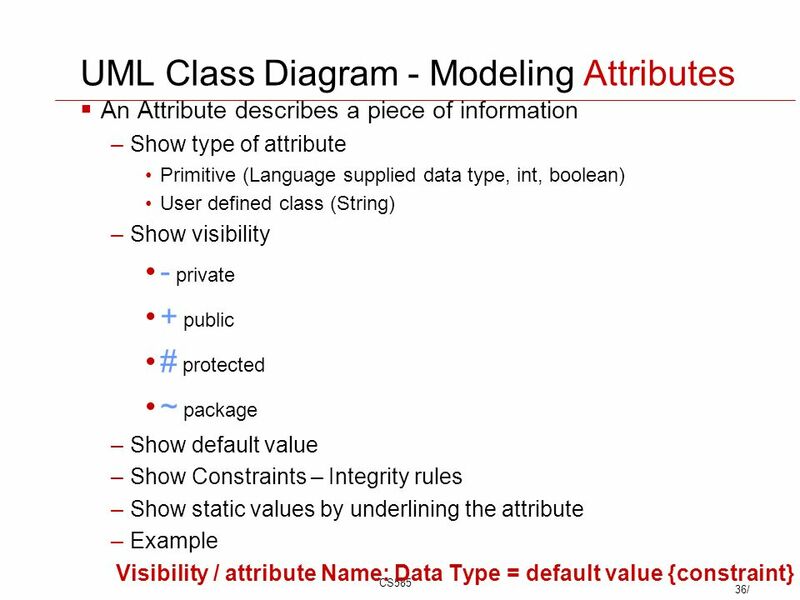 CS585 1/ Principals of Object Orientation OO Analysis Modeling with UML –UML Views User model view Structural view Behavioral view Implementation view. 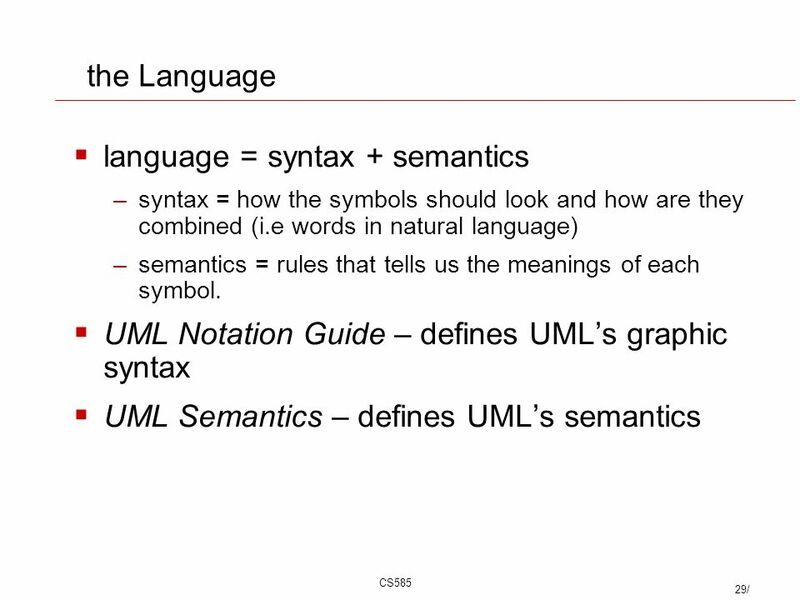 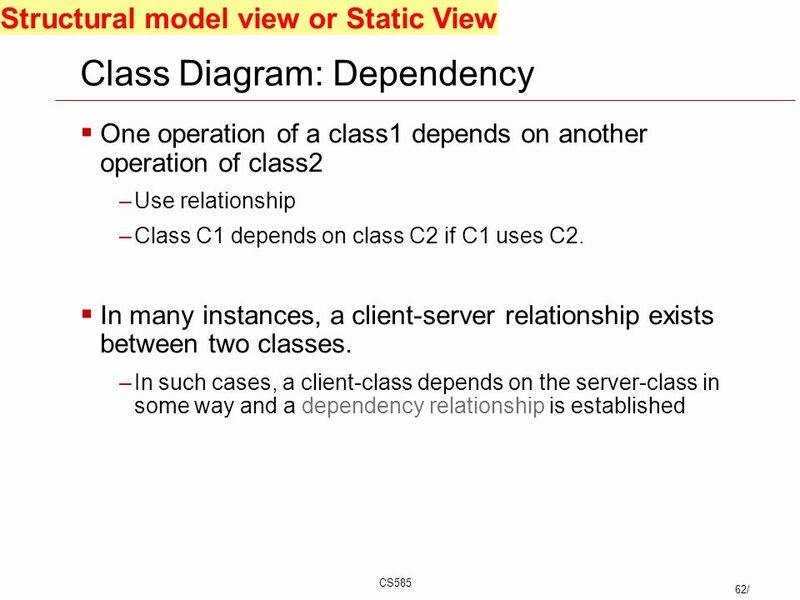 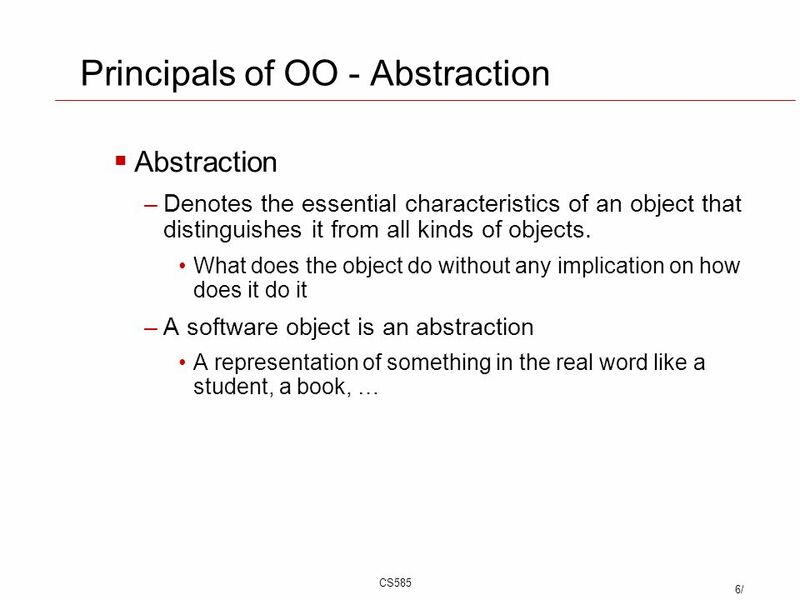 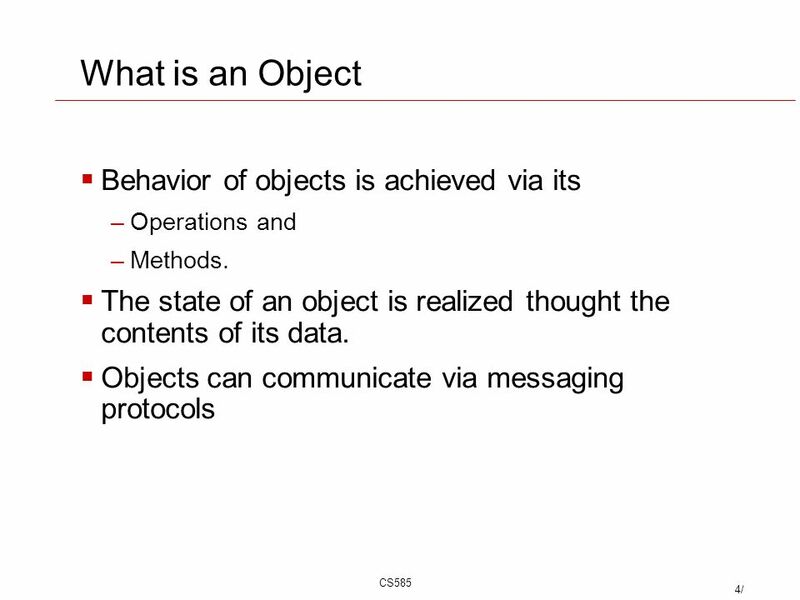 3 CS585 3/ What is an Object? 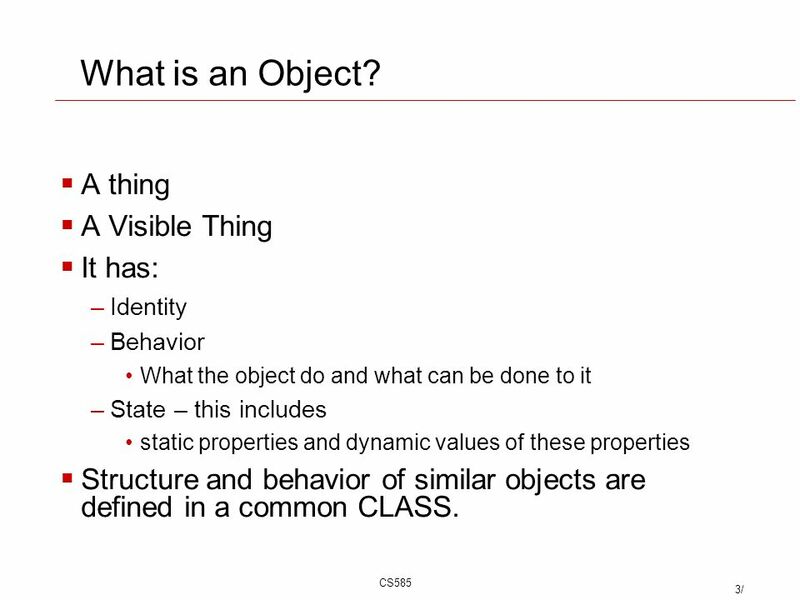 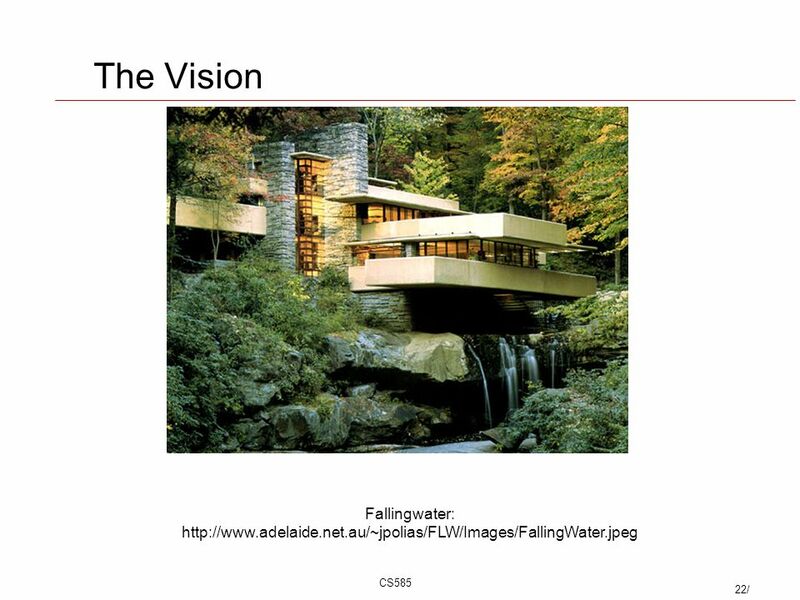 A thing A Visible Thing It has: –Identity –Behavior What the object do and what can be done to it –State – this includes static properties and dynamic values of these properties Structure and behavior of similar objects are defined in a common CLASS. 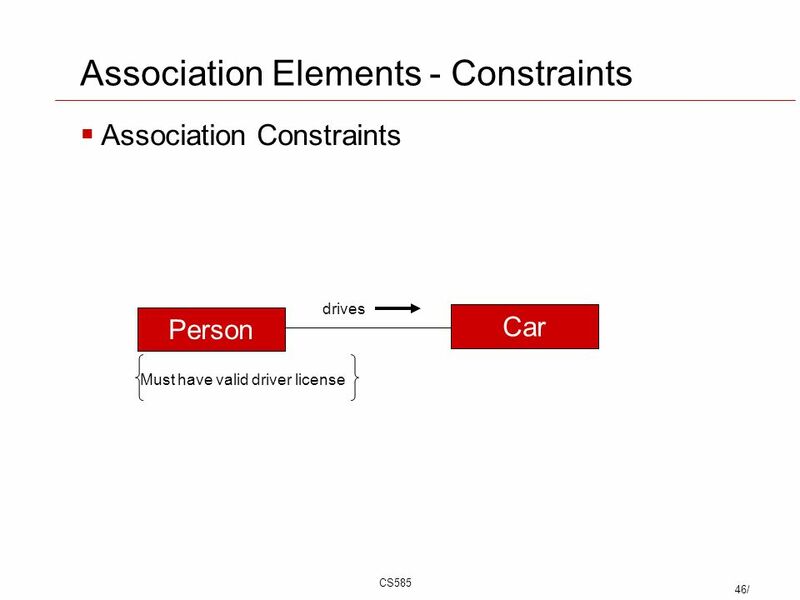 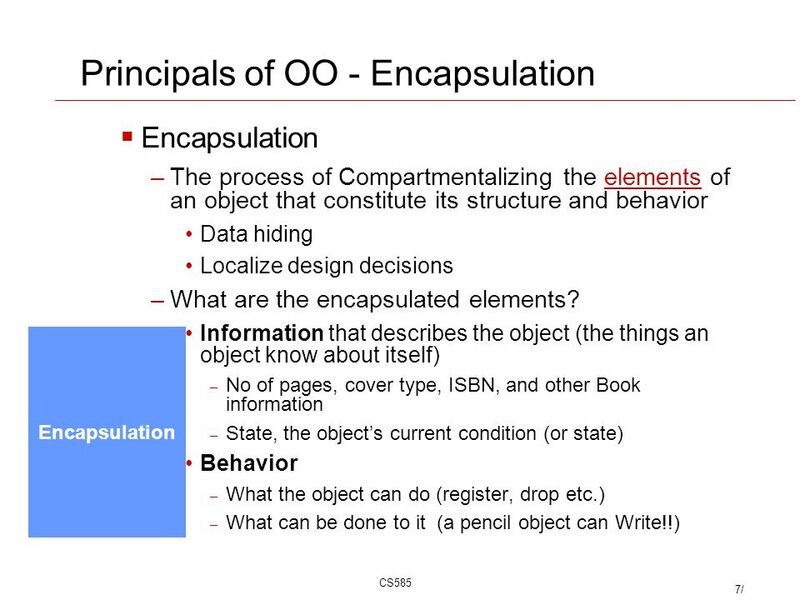 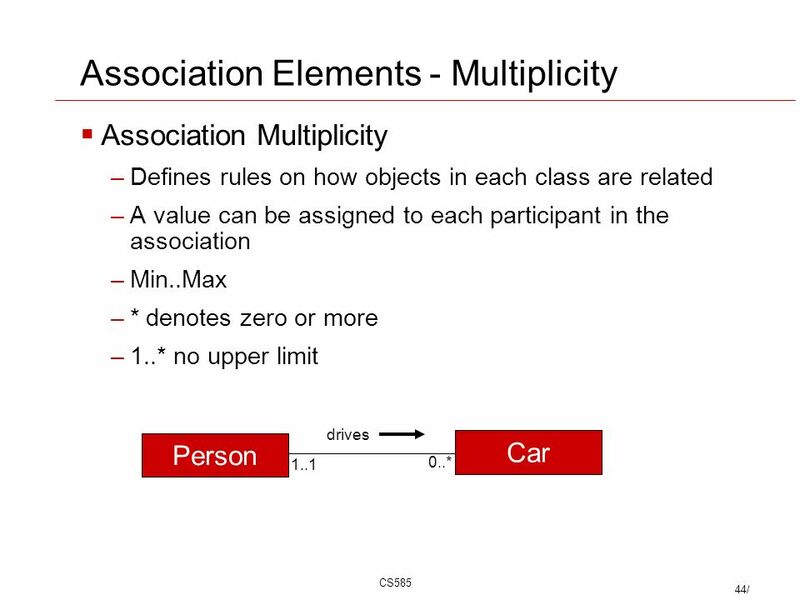 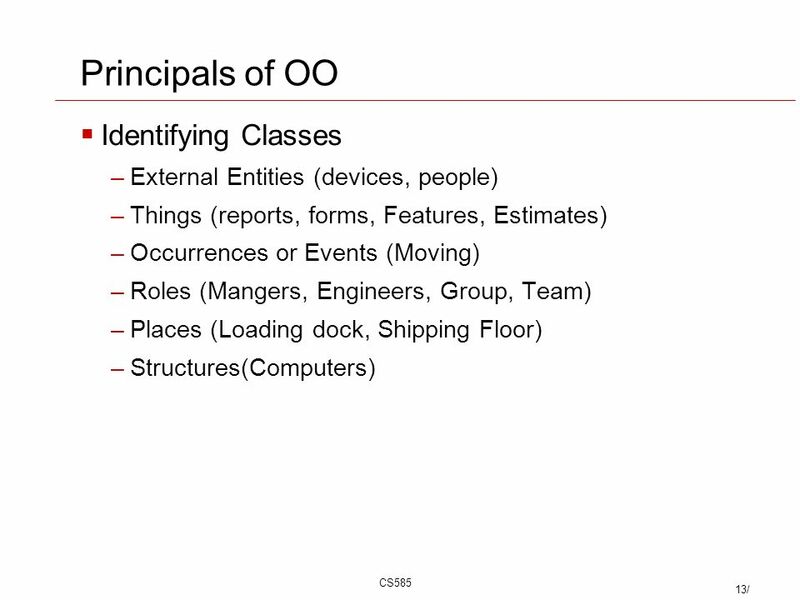 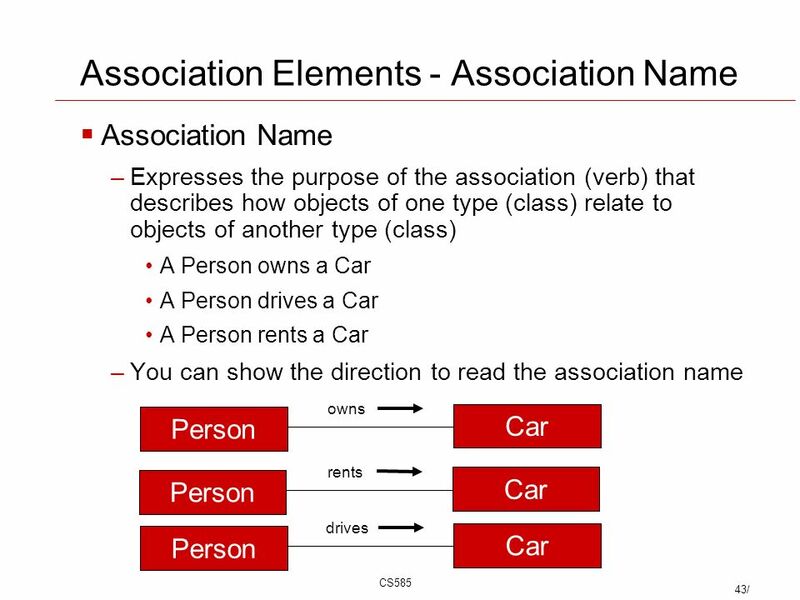 8 CS585 8/ Principals of OO - Encapsulation Encapsulation –What you need to know to use the object The interface –What you need to know in order to make the object work properly Mechanism to respond to the interface, THE IMPLEMENATION FOR EACH INTERFACE Example –Driving a car! 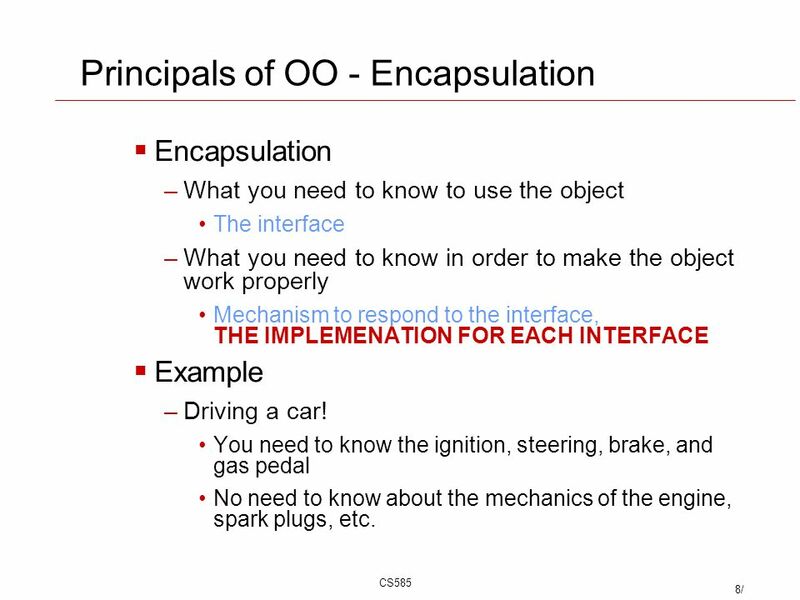 You need to know the ignition, steering, brake, and gas pedal No need to know about the mechanics of the engine, spark plugs, etc. 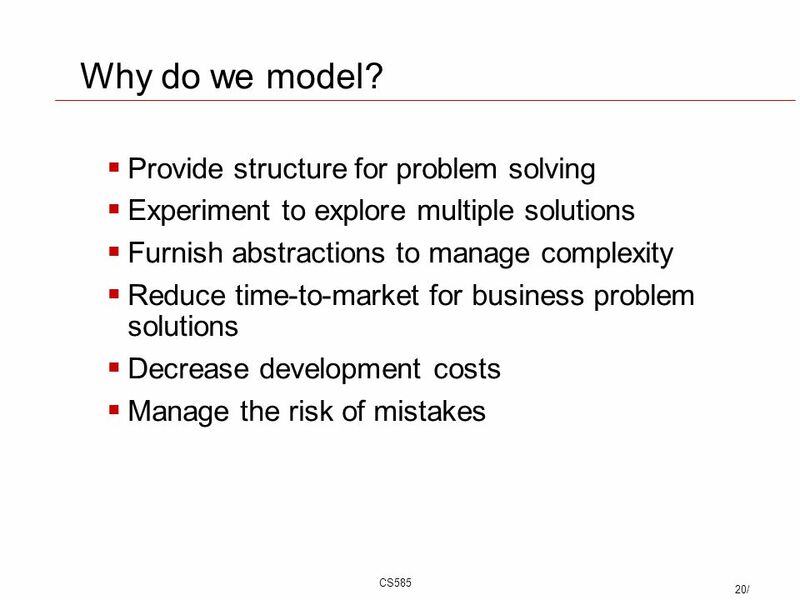 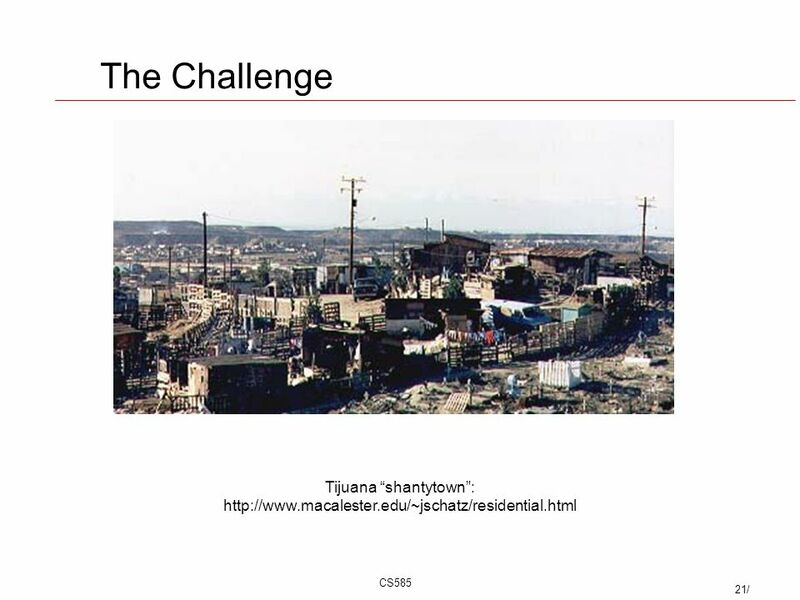 20 CS585 20/ Provide structure for problem solving Experiment to explore multiple solutions Furnish abstractions to manage complexity Reduce time-to-market for business problem solutions Decrease development costs Manage the risk of mistakes Why do we model? 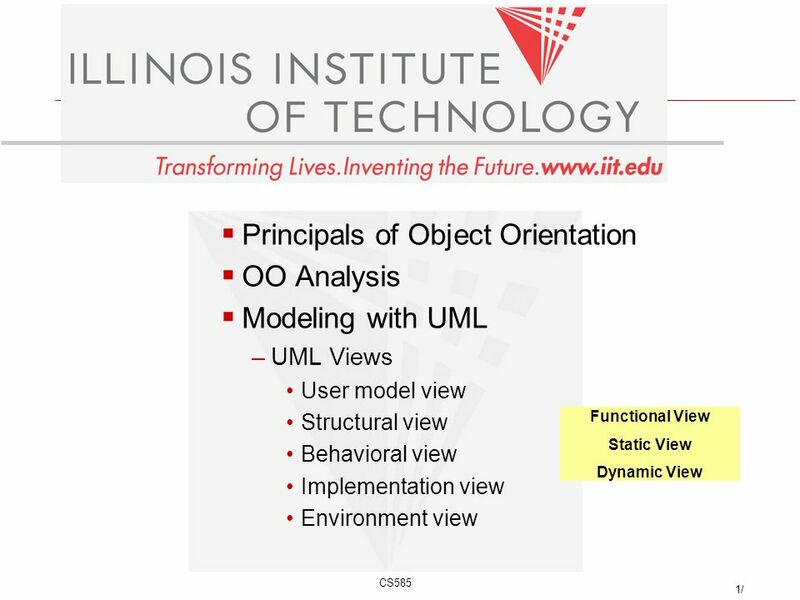 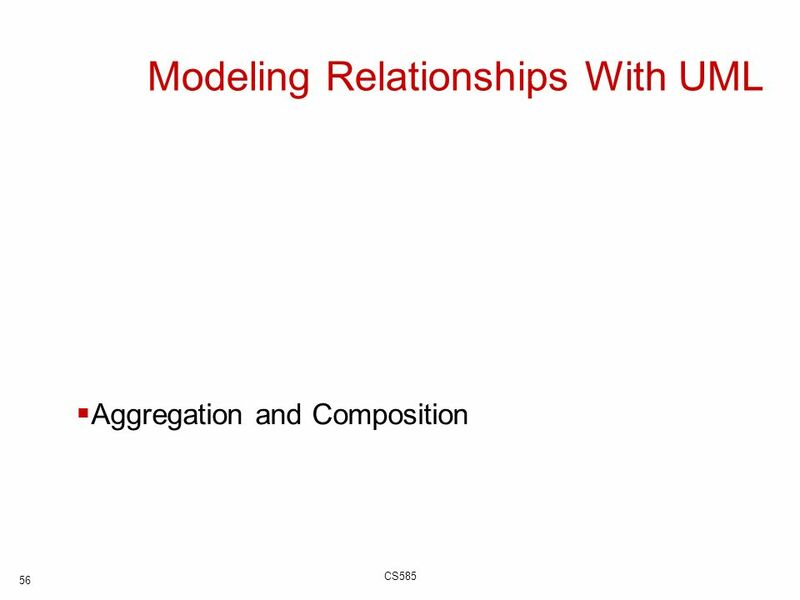 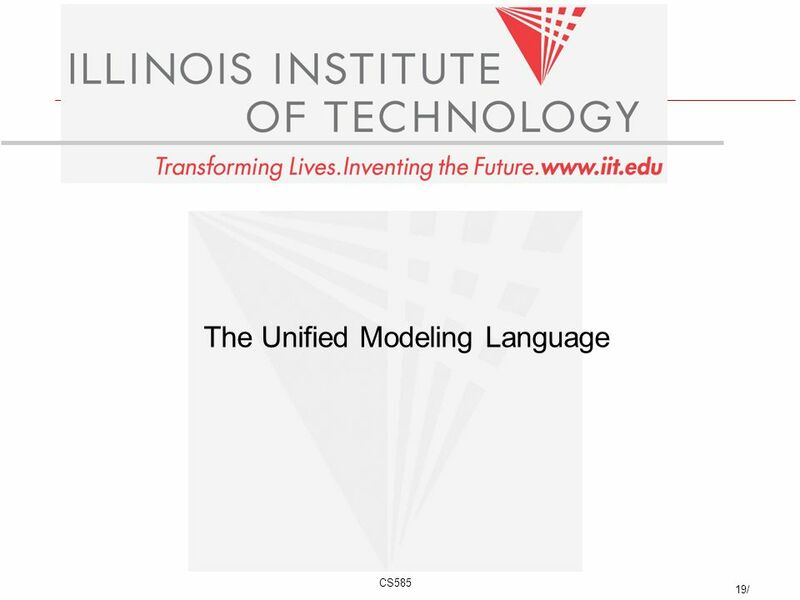 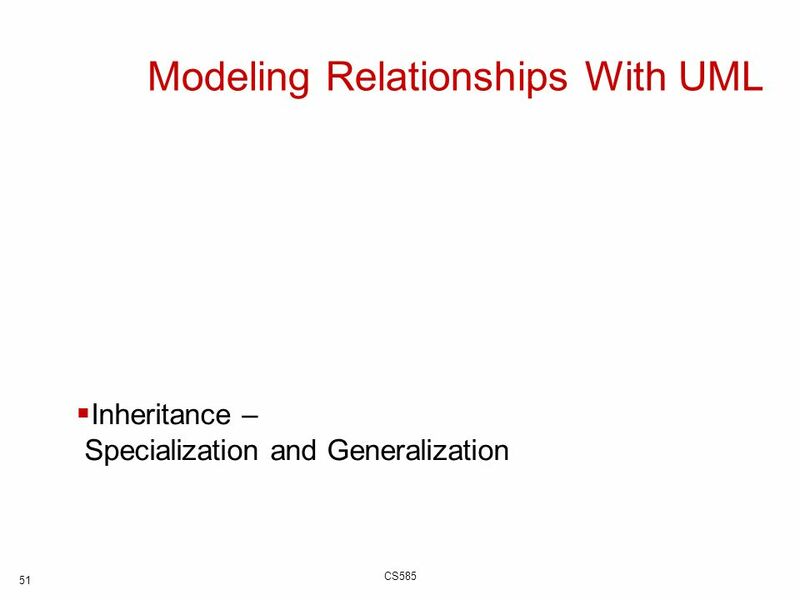 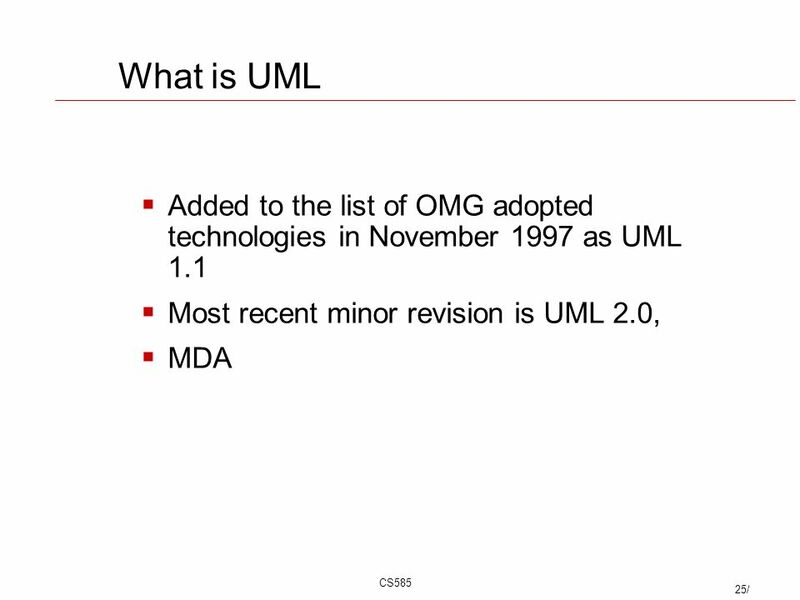 Download ppt "CS585 1/ Principals of Object Orientation OO Analysis Modeling with UML –UML Views User model view Structural view Behavioral view Implementation view."